Iowa Department of Transportation released 2009 data of the annual average daily traffic (AADT) counts throughout Tama County. Traffic counts are up from 2005 on sections like US Highway 30 east of Tama through the Bohemian Alps. 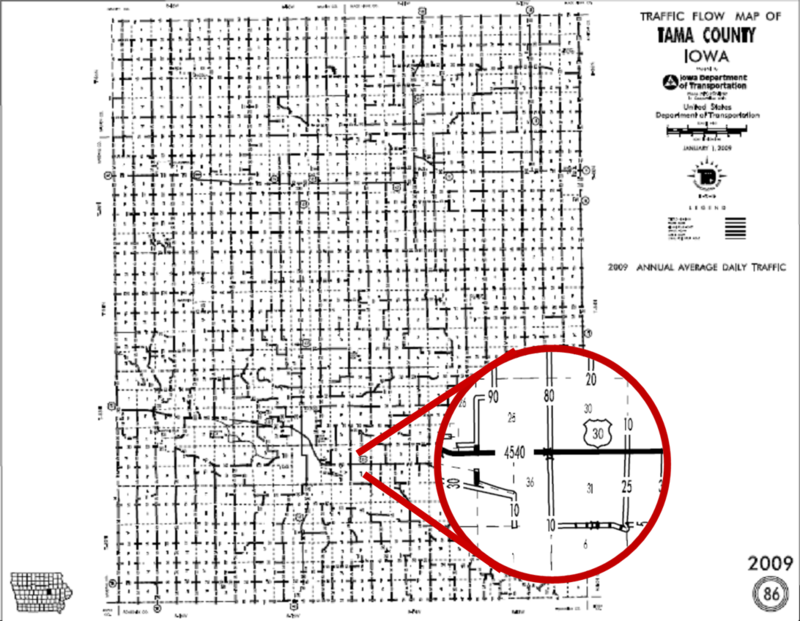 Based on the current 5-year Iowa transportation plan, that section is expected to be the only remaining two-lane portion in an otherwise four-lane Industrial and Commercial Transportation network that connects Iowa’s biggest population clusters like Des Moines/Ames to Cedar Rapids. Surface Transportation Funding: 1989 was the last time gas tax was raised in Iowa, (1985 Federally), and cars are getting increasingly fuel-efficient. Group discussed concerns and solutions like moving towards a distance based direct user free. US Highway 30 Final Report: Presentation on the economic impact and safety study of US Highway 30 is expected to be presented to the Transportation Commission August 10 in Storm Lake, Iowa. The communities of Tama County, Iowa are encouraged to review it and put their name on it if they agree with the findings and recommendations. ← Economic Development 101: What does “Economic Development” REALLY mean?